In July 2003 the government announced 35 pathfinder children's trusts supposedly to develop better integrated services for children and families in the light of the Victoria Climbié enquiry. However, amid the rhetoric of working together for children and young people the unions' experience to date with these pathfinders highlights some worrying trends for workers in local government, health and education. The main thrust of the government's plans for the range of children's services provided by health, education and social services is contained in the White Paper Every Child Matters and the Children Act 2004 – insofar as any government that wants to sign up to the EU constitution and its monetarist economics can say it is planning long term for anything. The new mechanisms claim to be designed to get public services working in a more integrated way so as to be able to focus on outcomes for children. In many ways the mechanisms are a rational response to such factors as repeated child death enquiries, highlighting the lack of communication and clarity of roles between different professions and their agencies as contributory factors in such tragedies. But since 2003 the way that the 35 different local authorities and central government have gone about setting out the detail of their plans to develop the trusts raises concerns for workers: in particular, concerns centre on the retention of national pay bargaining, the terms and conditions of workers seconded to the trusts, the protection and promotion of workers' distinctive skills and knowledge, and the whole concept of quality public services. These concerns go far beyond the initial statements of concern from Unison on the day that the pathfinder authorities were announced in July 2003. Unison expressed a general concern that the trusts were announced at a time when the whole future of children's services is up in the air and states: "What is worse, our initial enquiries have revealed that very few of the pathfinder trusts seem to have bothered to talk to staff who are the people who will actually be delivering services." Given that some of these pilot schemes, such as Brighton & Hove, plan to have the trusts operational by April next year, it is vital that workers and their unions keep up with these changes, in the same way unions responded to the Agenda for Change programme in health services. Indeed, it may now be the case that in some areas reactive campaigns will be necessary once the terms and conditions of workers are clearly under threat in each area, a situation workers could and should have avoided. In the Brighton & Hove pathfinder the local authority is keen to stress that arrangements it is proposing will not mean a move to breaking down national pay and conditions agreements. Indeed, the consultation with unions has emphasised that staff transferred to the trust in April 2006 will retain the pay and conditions of either the children, families and schools department or the local NHS trusts. However, central government sees this as an opportunity to introduce localised agreements over pay and conditions in the form of performance related pay. In a speech in 2002 Tony Blair called for flexibility from public service workers, and stated: "...those who strive for excellence know too that in many cases performance-related pay can be important". There are worrying trends underneath the rhetoric around working together for the benefit of children and families. A national evaluation of the 35 pathfinders, conducted by East Anglia University, suggests a range of issues that still need to be addressed. One issue concerns finding suitable accommodation and resources to facilitate new ways of integrated working. This is alarming, given that it is being done within existing inadequate budgets. with no extra money. Unison in Edinburgh has highlighted that run-down, poorly designed buildings were part of an overall lack of resources having a demonstrable effect on the ability of social workers to deliver safe child protection services. Despite planning for multidisciplinary teams of workers to be co-located by April 2006 Brighton & Hove council has still not identified adequate buildings for some of these teams! Another issue identified in the review is that there is a need to ensure that there are sufficient staff to fill the posts left vacant when staff are recruited to multidisciplinary teams. In Brighton & Hove this does not appear to have even been considered but the latest consultation with unions has mentioned potential redundancies as a result of new posts being created in the multidisciplinary teams envisaged for the local trust. It looks as if workers left outside the trust will be expected to take on the work of those taken into it, and it will be bad luck if you happen to have a job which will now come under the trust but you are not successful in applying for that job! The issue of skill and control over knowledge is crucial to workers generally. The more skilled workers in a workplace are, and the more control they have over who acquires skill in that workplace, the less employers can divide them and attack their pay and conditions. However, in consultations with unions in Brighton & Hove, a worrying picture is emerging over plans to staff education facilities in Children's Centres (the proposed sites for multidisciplinary teams) with unqualified teaching staff. This is despite the council's own admission during consultation that research has shown that where there is qualified teacher input to nurseries young children learn much more. The council is proposing that there will be qualified teacher input but that unqualified staff will cover for their professional development and leave requirements. Education unions have pointed out that some aspects of this may in fact be illegal, and are becoming concerned at the proposal. However, the response of local Unison health and local government branches has been to request separate consultation so that meetings are not dominated by the agenda of education. Slightly puzzling given that many of the unqualified education staff are likely to be members of Unison! Local authorities which went for children's centres based around existing quality early years provision in schools are developing a service which will be of use to families. 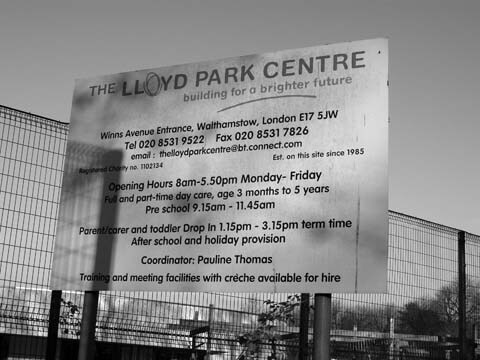 Where they have gone down the route, encouraged of course by govern-ment, of complex Private Finance Initiative deals for rebuilding together with private day nurseries and voluntary playgroups to provide the day care and education, the children's centre programme is in chaos. In many authorities, the programme is mired in legal complexities, building problems, and management nightmares. Finding professionals willing to be heads of the centres is – what a surprise – proving tricky at best. Now that the Sure Start local programmes are being brought back into local authority control in the guise of children's centres, professional workers will have the job of sorting out the mess. In a speech in 2002 Alan Milburn stated that "...for those Children's Trusts that want to specialise in providing services we will want to explore a range of models in different parts of the country". These could potentially include local, not for profit public interest companies that could enlist the involvement of the community, voluntary and private sectors alongside the public sector. Following this lead Brighton & Hove is reviewing a range of services to consider whether teams should be joined up and delivered by the trust or whether the most effective means of delivery is through the independent or voluntary sectors. Again it is important for unions to keep up with this and to seek, firstly, to keep services within the public sector, and secondly, to maintain membership among any staff taken out to voluntary and private agencies, where their terms and conditions are likely to be worse and national agreements ignored at the whim of private and voluntary sector employers.